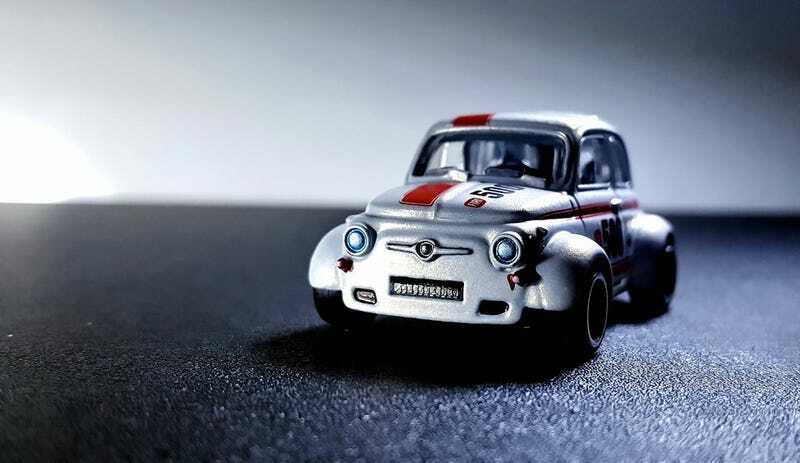 Lets have more of the white Fiat 500. I was a bit annoyed at the open engine cover... so I sawed off a little at where it hinges, and tried to lower it to cover the engine. But I ended up squeezing a little too hard and it broke off... sigh.